Will My Premiums Go Up if I Use My No-Fault Insurance? 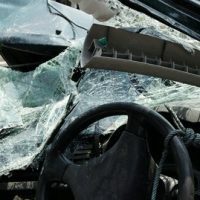 Perhaps one of the most frequent questions clients ask Florida car accident attorneys is whether their insurance rates will increase after an accident. While the answer is a bit complicated, there is good news. In general, your rates should not change if the accident is not your fault. Of course, that’s not the end of the story. Florida law requires all motorists to carry $10,000 in personal injury protection insurance (PIP). PIP pays up to 80 percent of your medical bills and 60% of your lost earnings which are directly related to an auto accident, regardless of who caused the accident. This 80 percent is paid after you meet your deductible, much the same way that your health insurance works. Your PIP will only pay up to $2,500 unless you can prove you had an emergency medical condition. This means you must be able to show that your treatment was due to something reasonably likely to lead to serious injury or death. So, if you did not go to an emergency room after your accident but later discovered a severe bulging disc in your spine, your insurance company may argue that this was not an emergency medical condition; therefore, it should not have to pay for the required surgery or physical therapy. Obviously, these can run far more than $2,500. Hence the problem with so-called no-fault insurance. Like many other states, Florida law does protect consumers to an extent. If you use your PIP insurance after a crash where you were in no way at fault, it would be improper to punish you. Under the law, this would likely be considered an unfair or deceptive practice. Although the law does not specify that it is illegal to raise premiums or cancel a policy for this reason, it does say the insurance company must have a proper and legal reason. Many states actually prohibit unfair cancellations and rate increases. Sadly, even though Florida law attempts to protect consumers against being penalized for the acts of others, the truth is that insurance companies often cancel policies or increase rates for all sorts of bizarre reasons, many of which may or may not be proper. For instance, insurance companies may raise rates by claiming that there has been a significant increase in claims in your zip code, or they may say that an unusually disproportionate cost of medical care in your region is causing the increase. Other times, insurance companies will say that it’s the influx of uninsured drivers that increased rates. Ultimately, insurance companies are looking out for their bottom line. It is their job to charge you as much as possible, collect premiums, then look for any possible legal excuse not to pay when you get hurt. They will raise rates and cancel consumers for any reason they can possibly justify – some legal and some not. If you are seriously hurt, do not trust the insurance company to do the right thing. Call an experienced injury lawyer in the Tampa Bay area. The lawyers of Roman & Roman, P.A. have been fighting for injury victims for over 40 years. Consultations are always free, and we never collect a fee unless you recover for your injuries.